The Chapter currently has over 500 members. We have been a chapter for over 30 years and still continuing to grow. We would like to have you as a member so we made it real easy to join. Our chapter conducts 5 seminars annually. Seminars are for one day and the annual seminar is a three day event with guest speakers who are experts in their field. 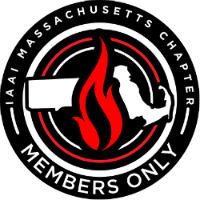 It is important for all Fire Investigators to belong to an association, so what are you waiting for? Print out the application (pdf format). Mail it to the secretary. That’s’ all you have to do. You will then be entitled to member benefits such as discounts for seminars, etc. Download the MAIAAI Application here in Acrobat format. Download the IAAI Application application in Acrobat format.